On 28 February, MEP and Turkey-rapporteur Kati Piri, mentioned several human rights issues and pleaded not to grant Turkey EU-membership. In the popular Dutch talkshow Jinek she said that a quarter of all Turkish judges have been discharged already. In her capacity as rapporteur Piri investigates if Turkey meets the preconditions for EU-membership and if the country lives up to the agreements made with the EU so far. Her findings are presented in a yearly Turkey monitor. In 2018 the outcomes of her investigation even made her press the EU to suspend the accessions talks. In her opinion, talks with Turkey are pointless under conditions of disproportional repressive measures and an obvious move away from European values. At the same time Piri was denied access to the country, most likely due to her critical stance, since the attempted military coup. 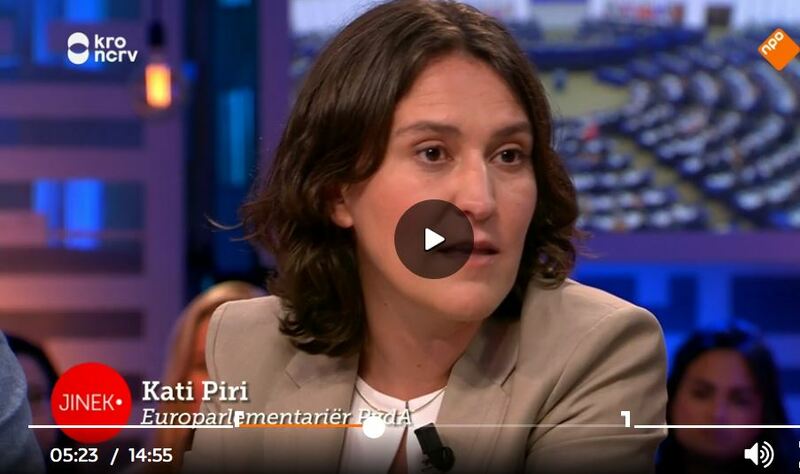 Kati Piri talks about human rights violations in the Dutch talkshow Jinek. At the talkshow table, Eva Jinek asked Piri about the obstacles for EU-membership of one of Europe’s southern border states. She mentioned that the human right situation is the major issue in Turkey. She gave several examples: ‘A quarter of all judges have been discharged already (…). Turkey is still a country with most journalists imprisoned.’ This last issue has been debated and criticized many times. But what about the judiciary? In her 2018-report Piri gives numbers for the amount of discharged judges since the state of emergency, shortly after the 2016 attempted coup. In total 152.000 civic employees, such as teachers, medical doctors, academics and judges have been laid down, according to Piri. It proved difficult to single out the exact number of judges based on this report. Asked for her source Piri mentioned the European Commission’s Turkey-report. Given these numbers the statement by Piri is mostly true. However at first 30% of all judges and prosecutors were discharged, about 5% was reinstalled bringing the total amount to a quarter. But….Piri could have been more precise by including the prosecutors in her statement, it is clear that she talks about the judiciary as a whole, but prosecutors and judges are by far not the same!